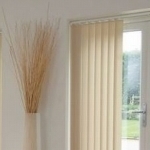 City Blinds is a blinds manufacturer and supplier based in Slough, UK. We provide quality made-to-measure blinds for home, businesses, organisations, offices, nursing homes, surgeries and many more. We pride ourselves with unbeatable prices ensuring the highest quality you can expect. Having our very own factory manufacturing all types of blinds, you can rest assured you will receive made-to-measure blinds tailored to your needs.